The whole point of life is that it’s supposed to be enjoyed, so why do we settle for getting by and getting through it? We need to have fun and enjoy it! That’s something Northbrook psychologist, Dr. Sarah Allen, tells her patients, who she said are typically women in their 30’s, 40’s and 50’s suffering from issues that stem from anxiety. 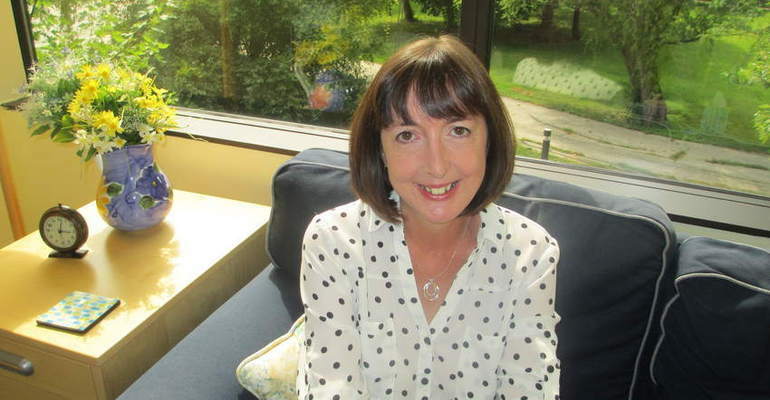 Dr. Allen grew up in Portsmouth, England, and said she knew she wanted to become a psychologist at a very young age. 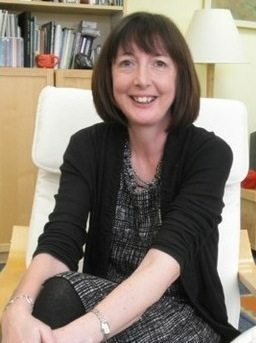 She attended both undergraduate and graduate school in London, and as part of the curriculum, she worked in the maternity ward of a London hospital, an experience she said made her feel connected to women. “I saw a need that wasn’t being addressed,” said Allen, who ended up being one of the first psychology students to do research on Post-Traumatic Stress Disorder (PTSD) following childbirth. When she finished her dissertation, she began working with children and families, and moms who were suffering from depression. Allen, who has been in private practice in Northbrook for 16 years offers individual, couples and family therapy. In her living room style office with French country decor; which includes yellow painted walls, comfortable furniture, and a huge picture window with a view of large Oak trees, Allen said her goal is for her patients to relax, and feel like they can say anything to her. “People often say, ‘This is going to shock you’, and I tell them that in 20 years of being a therapist, nothing shocks me”, she said. Allen treats anxiety, worrying and depression caused by issues such as relationships, work stress emotional eating, parenting stress, postpartum depression, and juggling work life balance. Allen said in treating her patients, she doesn’t spend time focusing on the past, but instead offers tools to help them cope with present day challenges. A Northbrook mom who chose not to be identified for this article was a patient of Allen’s for a year and a half after struggling with anxiety for several years, which intensified after her pregnancies. “What I love about Sarah is that she is very real and very into practical solutions”, she said. “She wasn’t there just to listen. She gave me actual strategies for dealing with anxiety”. 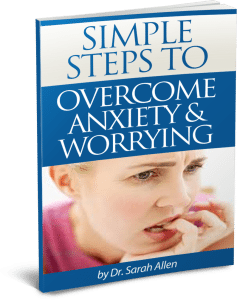 Dr. Allen has put together a booklet with some strategies that she is always giving to her clients to help them begin to feel less anxiety and to worry less.